Smooth Mix of some house tunes I like. As usual, it contains all different kinds of house, in this case that includes Garage House, Funky House, Filter House and Italo House. I've only used my computers mouse to mix this, as my "emergency installation" on PC isn't configured for the midi stuff yet. A nice blend of progressive, Electro House, Fidget and a couple of other things, dedicated to the start of Autumn in Korneuburg 2010. Enjoy! I mixed a couple of tunes of different house styles here. Some oldies, some new stuff, all padded by Tech House / Techno. Enjoy! My sound card hasn't been working for quite a while now. So I had to do a mix, now that at least my USB headset is working again :-) All kinds of House, mixed quite spontaneously. 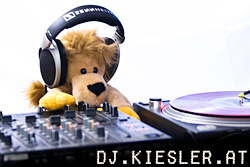 Mix with current uplifting trance tracks, almost 40 minutes.